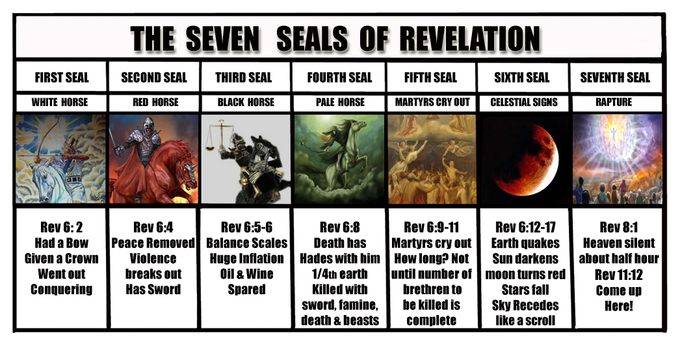 Have you ever wondered just how many sevens are in book of Revelation? They are listed here. The 7 bowls of God's wrath with light commentary. Side by side, for study & personal analysis. The 7 trumpets shown & how the last 3 trumpets are also the 3 woes. The interruption John had writing the 7 Trumpets & 3 Woes.